The night before, prepare an empty glass jar or old jam pot. Mix together the first three ingredients until well-combined and free of any lumps. Then pour in the milk carefully, stirring until smooth and well-incorporated. Add in the remaining ingredients and place the lid on your jar/ pot. Store in the fridge overnight and remove in the morning (no need for microwaving). 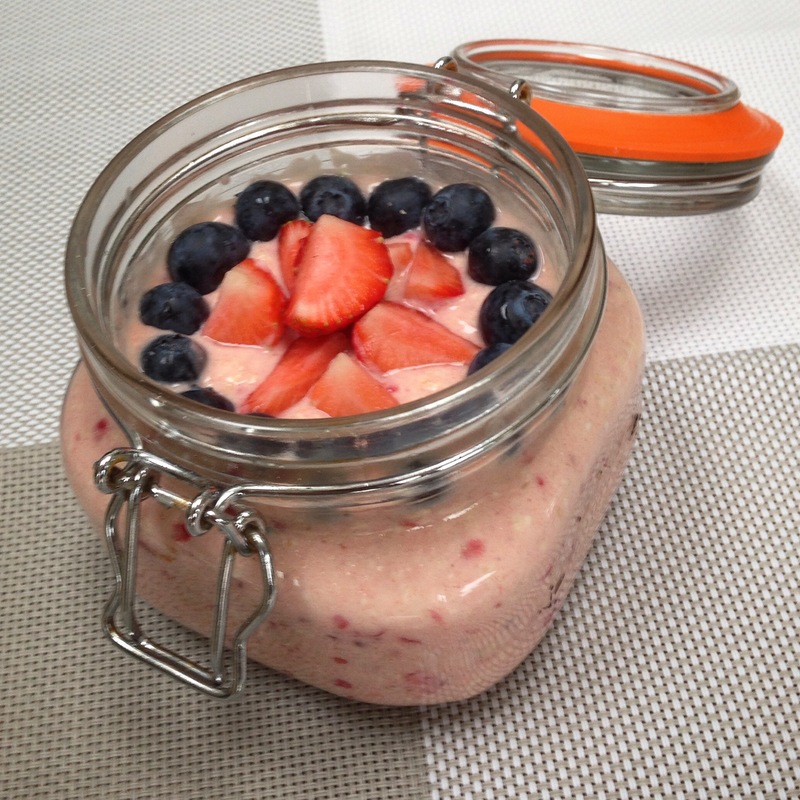 The above photos are of my vanilla and mango layered overnight oats and of my mixed berry oats (strawberries and raspberries). I also love the flavour combination of banana and raspberry (add a handful of mashed raspberries); cacao and coconut (add 1tbsp cacao powder and 1tbsp desiccated coconut); as well as ‘carrot cake’ (add 1 shredded carrot).